I’m pretty sure there’s no worse feeling as a mother than seeing your child sick or injured. The amount of helplessness you feel—even if it’s not a life-threatening condition—rocks you to the core. That’s why moms rely on doctors and nurses to provide certainty and a plan of action when our children are sick and hurting. At least that’s what I felt last month when I brought my toddler to the pediatric emergency room when her illness had lasted for several days. As we waited for a prognosis, I heard young patients wailing in other rooms down the hall, and I thought about their mothers; specifically, how strong they had to be because they were likely dealing with bigger issues than what I faced, and how they probably took off work and had to juggle transportation to bring those children in to get urgent care. What other concerns beyond the most important one—namely, whether my child will be OK—were running through their heads? Most likely, cost was at the top of the list. Access to additional medical care also is a real concern. That’s understandable. While America’s health system is one of the most advanced in the world, it is riddled with bureaucracy, waste and perverse incentives, which are often created by the federal government. We’ve seen the headlines that many Americans are surprised with unexpected medical bills when they go into the emergency room. We’ve heard how patients are limited in who they can see, because of narrowing provider networks under their health plans. But would mothers be better served by a government-run health care system? Would they be better off if lawmakers uprooted the current system and replaced it with one run by the federal government? Do you think government-run health care is a bad idea? For the working moms who are part of the more than 164 million Americans who get their health care coverage through work, that’s doubtful. More than 70 percent of those employees are generally satisfied with their work-based health insurance plans. Sure, they want solutions to America’s rising health care costs, but they like their current health plans through the private sector. 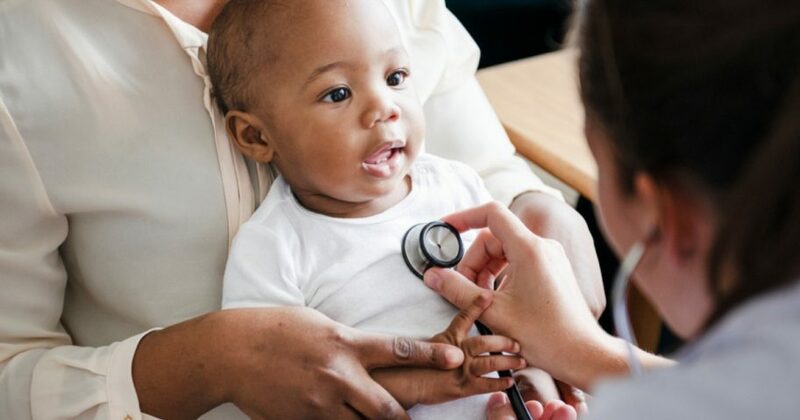 For mothers who need access to specialists for chronically ill children or those with a pre-existing condition, government-run health care systems perform poorly. The experiences in Britain and Canada show that the governments slashed payments to medical providers, which diminished the quality care that patients could get. Even here in the United States, government-run health care programs such as those of the Veterans Administration and the Indian Health Services have appalling records of patients dying while waiting for care. For anxious mothers like me who don’t want to wait three days for results from a lab culture while my child suffers, government-run health care doesn’t promise speedy service. Waitlists are the norm in Canada. In 2017, Canadians were on wait lists for an estimated 1.04 million procedures. In the United Kingdom, hospital waits can be long and arduous, with the British National Health Service routinely canceling elective operations for nonclinical reasons. And let’s not forget that “free health care” comes with gigantic costs to households. Projections for the “Medicare for All” legislation that would set up government-run health care would be an astronomical $32 trillion for just 10 years. To pay for it, Americans would be taxed an estimated 20 percent in combined new payroll and income taxes. Mothers shouldn’t face new taxes to pay for a health care system that takes away their choices in return for what’s likely to be substandard care. They need more choices when it comes to how they access and afford medical care for themselves and their children. The best way to achieve that goal is to give states more flexibility and resources to heal their broken insurance markets. Policymakers have a plan that does that while protecting patients with pre-existing conditions. That could go a long way toward easing motherly concerns.